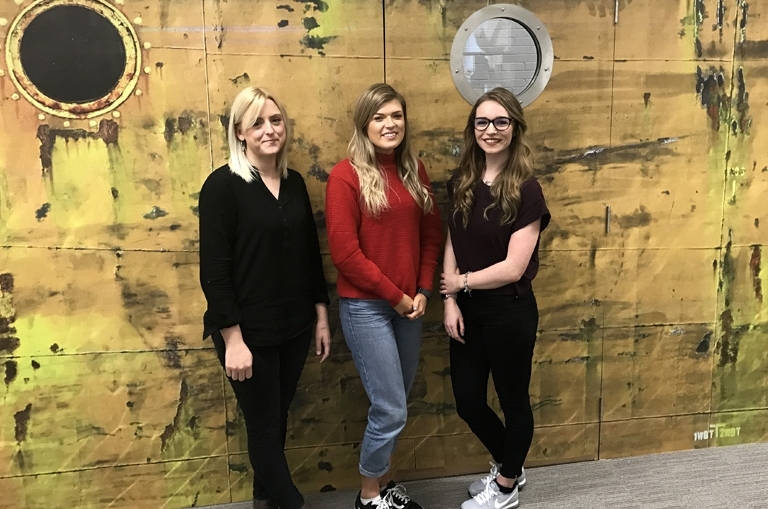 Digital marketing agency The Bigger Boat has welcomed three new team members aboard its ship! Hot on the heels of the firm’s move to 2,000sqft open-plan offices at Wheatley Park, Mirfield, the hires signify the next stage of ongoing expansion for the crew. Lindsey Proctor is The Bigger Boat’s newest marketing account manager, having previously worked within the brand team at PPG Industries. With almost 6 years of marketing experience under her belt and knowledge spanning everything from strategy development to social media, she has already made a big impact on the communications activity of clients Re:Work, Towngate and Celloglas, to name just a few. Experienced designer and Masters graduate Kara Clifford joins the team following completion of her advanced studies at The University of Huddersfield. She was last at Huddersfield-based PWAR Creative, where she was design manager overseeing a number of B2B and B2C creative projects. Already she has made a big impact at The Bigger Boat, having begun print and digital design work for the Little Tikes, Celloglas and Vantage accounts. The third new face is Hannah Pearson, a marketing intern from Northumbria University. Supporting the team with some of their 60 clients, as well as The Bigger Boat’s own profile raising, she is particularly focusing on SEO and CRO (conversion rate optimisation) activity. The Bigger Boat is a full-service agency providing design, digital and search marketing support for clients throughout the UK. The company has its eyes on £1m turnover within the next five years.